Trees rustling, birds chirping, the smell of a campfire in the air - these are some of our favorite things about camping! While you may be a camping expert, or maybe you’re new to the camping scene, the Wilderness Campground has the perfect type of campsite to get you enjoying the great outdoors! Say camping isn’t your forte, but you still want to escape the hustle and bustle of city life. You may not be ready to fully commit to sleeping on the ground and still require the use of air conditioning. The rustic cabins are just for you. With four different types of cabins to choose from, you’re sure to find one to suit all of your needs. 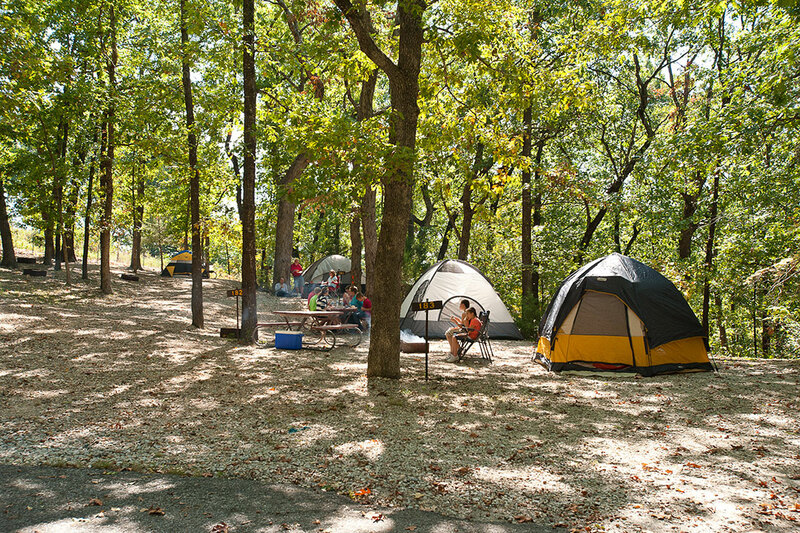 Enjoy the benefits of camping with access to campfire sites, all the while being surrounded by the beauty of the Ozarks. These glamorous accommodations will ease you in to the ways of camping, while still giving you the experience of staying in the great outdoors. A getaway may not be complete if you can’t bring a piece of home with you. 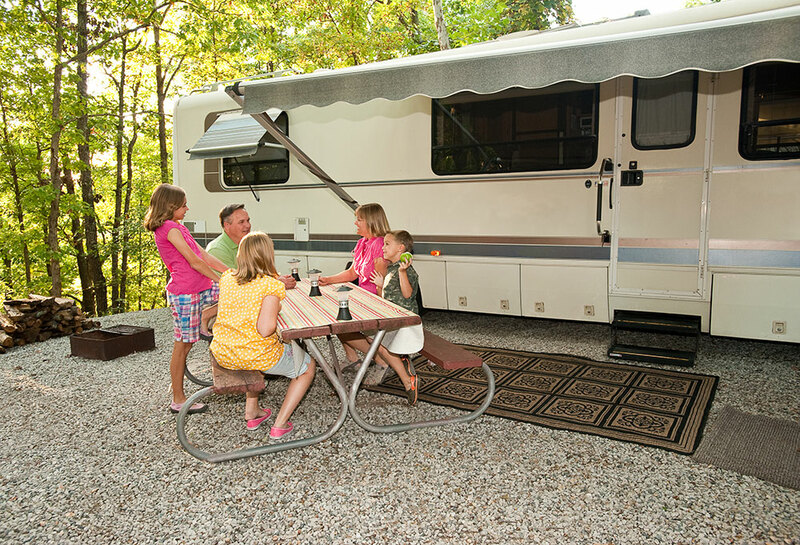 To enjoy the convenience of a home on wheels, book an RV site for your next adventure. These sites give you the seclusion and peace you want, while also being conveniently located to the hustle and bustle of town. 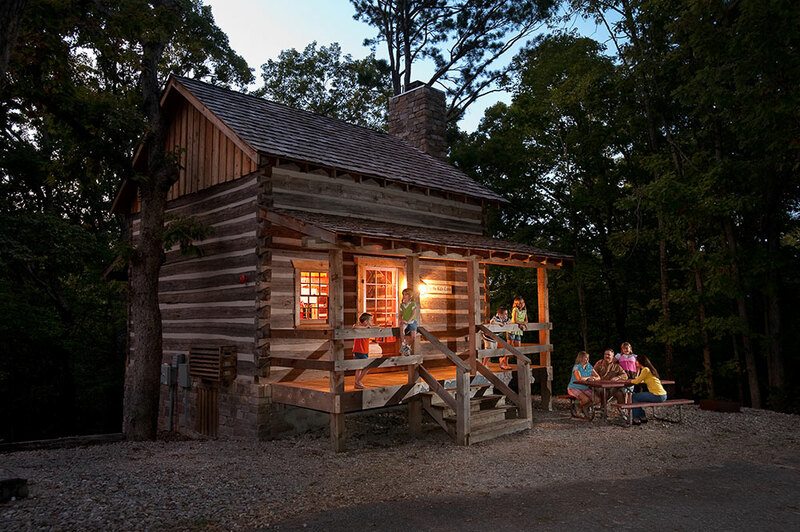 Stay and enjoy access to the campground pool, picnic tables, a direct shuttle to Silver Dollar City, and more! Or if you don’t want to bring your own camper with you, use one of ours! With multiple RVs on-site and ready to rent, you’ll get the best of both worlds. If sleeping bags and old-school camping are what you love, the tent sites at Wilderness are just for you. Spend the day fishing on Table Rock Lake, then come back to your campsite and feast on your catch of the day. Enjoy falling asleep to the sounds of the Ozarks and wake up feeling closer to nature. With over 30 tent sites available, you’ll be able to experience everything you love about camping. Whether you’re a glamper, camper or tent enthusiast, book your campsite now and find your perfect camping adventure! Insider tip: Season Pass holders save 15% on stays of two or more nights.